EIGHTEEN years on, the West Indies’ thrashing by Australia in the first Test in Hobart last weekend bears uncanny similarities to their predecessors’ routs in all three Tests in Pakistan in November and December 1997. 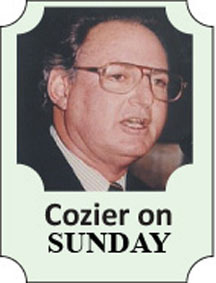 It is a case of the more things change, the more they remain the same in West Indies cricket. Even several of the West Indies’ main characters from the Pakistani whitewash are still involved. Clive Lloyd, then manager, is now chief selector. 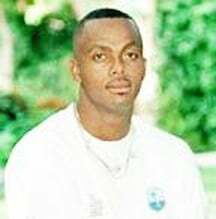 Courtney Walsh, the captain, is selector on tour in Australia. Curtly Ambrose, Walsh’s fearsome partner in pace, is the team’s bowling consultant. Head coach Phil Simmons batted in the middle order in Pakistan, Stuart Williams opened. They were in Hobart as head coach and his assistant. 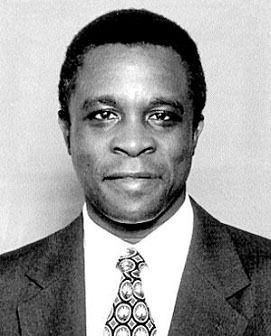 Grenada prime minister Keith Mitchell remains in the thick of things. After Pakistan, he was concerned enough to press Caricom governments to discuss the state of West Indies cricket. 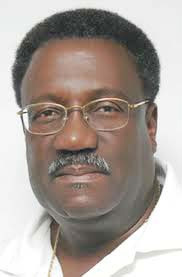 He now heads the Caricom sub-committee on cricket and is the prime mover behind the recent damming Barriteau report on the governance of the West Indies Cricket Board (WICB). The teams in Pakistan and Australia both went into their assignments unsettled by off-field upheavals. The issue prior to Pakistan was the captaincy; it was never far below the surface. The problems leading into Australia was the confusion over the suspension and subsequent reinstatement of head coach Simmons, a matter initially triggered by the contentious omission of the ever-dependable Shivnarine Chanderpaul from the two Tests against Australia in the Caribbean in June. The media attention on the high profile West Indians simultaneously in Australia for the Big Bash T20 tournament has been a further distraction, a constant reminder of the lingering rift between the players and the WICB. Counterbalancing the parallels are obvious differences. Two years after Australia ended 15 years of West Indies invincibility with a 2-1 coup in the Caribbean, Pakistan delivered the first inkling of the dramatic meltdown to follow. In spite of the presence of Brian Lara, Shivnarine Chanderpaul, Carl Hooper, Ambrose and Walsh, all established among the game’s foremost players, the West Indies were beaten by an innings and 19 runs in Peshawar, an innings and 29 runs in Rawalpindi and 10 wickets, when Pakistan were left 15 to win, in Karachi. Shortly after lunch on the first day of the series they were 58 for seven. Although they rallied to 151 all out, the pattern had been set. The repercussions were immediately spotted by observers outside the West Indies. Under the headline, ‘The Titanic is sunk’, Sportstar magazine of India believed West Indies cricket eventually ‘may well be as much part of history as the Titanic’. ‘Humiliation’ is a word repeatedly used since in reference to West Indies cricket, not least following the defeat in Hobart, officially by an innings and 212 runs, in truth by considerably more. In contrast to the star-studded squad in Pakistan, seven of the West Indies 11 decimated in Hobart are on their first tour of Australia, four were under 25, among them trainee captain Jason Holder, five others under 30. Only five had 30 or more Tests to their name. The team was eighth on the International Cricket Council’s (ICC) Test rankings. They were reminded, time and again, by the Australian media that their teams hadn’t won a Test in Australia since 1997, a few months before they had been swept clean by Pakistan. It was made plain that, in the circumstances, it was better they weren’t there. As Adam Voges and Shaun Marsh powered to their record 449-runs partnership in Hobart, Greg Baum wrote in the Melbourne Age that they were ‘bowling, instead of dot balls, slot balls, rot balls and feed lot balls’. It was browbeating enough to test the toughest of characters. The involved support of the experienced few was essential; in Hobart it wasn’t evident. Ian Chappell described the performance as a ‘disgrace’; the body language as ‘terrible’ and spoke of a few easily identifiable players who needed ‘a kick up the backside’. 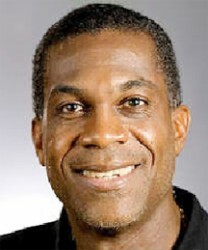 Michael Holding was on the same page after Pakistan where he was a tv commentator. The row over the captaincy was the troubling backdrop to Pakistan. The selectors nominated Lara instead of the incumbent Walsh; the WICB directors knocked them back and returned to Walsh. Duly angered, the Trinidad and Tobago Cricket Board (TTCB) passed a strongly worded resolution that was presented to the WICB’s general meeting that coincided with the start of the tour. Fazeer Mohammed, in Pakistan for Caribbean press and radio as he now is in Australia, reported that ‘persistent newspaper reports in Pakistan of Lara-inspired rifts within the squad succeeded in throwing him off his game’. His returns in six innings were 129 runs at 21.5. By the time England arrived in the Caribbean three months later, he had taken over from Walsh as captain, leading the West Indies to a 3-1 series triumph; it was their last over main Test opponents. In his present role, he has opted for youth and pleaded for time for the policy to bear fruit. Since 1997, it has become increasingly clear that time is not on the side of West Indies cricket.